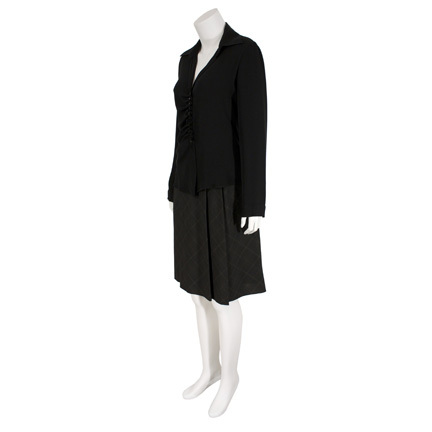 This costume was worn by the character “Chloe O’ Brian” portrayed by actress Mary Lynn Rajskub in the sixth season of the award winning series “24”, which ran from 2001 to 2010. 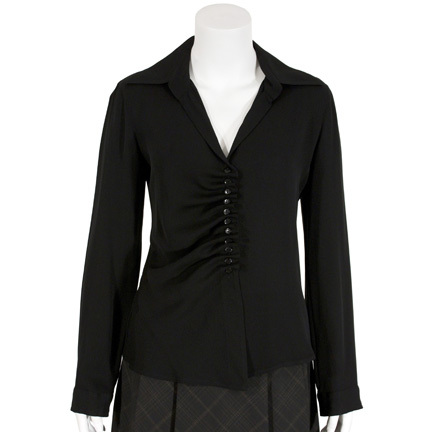 The outfit consists of a black button front blouse by Giorgio Armani and a dark gray windowpane plaid knee-length skirt by Elie Tahari. This outfit was Chloe’s signature wardrobe worn throughout Season 6 of “24”, which followed her and the other members of the Counter Terrorist Unit’s efforts to prevent the threat posed to America after a series of terrorist attacks take place. Chloe’s role was crucial to the plot of Season 6, playing a critical intelligence role in assisting “Jack Bauer” (Kiefer Sutherland) from escaping death at the hands of “Abu Fayed” (Adoni Maropis), and at one point even saves the day by guiding Jack through the disarming a nuclear bomb concealed in a suitcase. 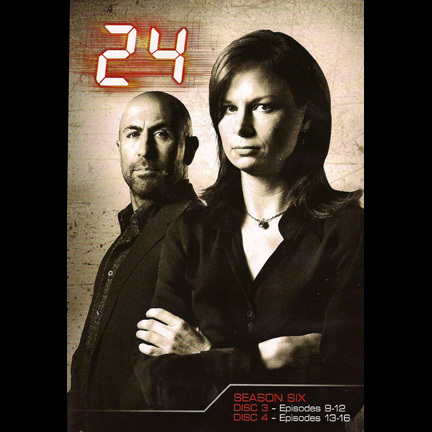 Later in the season, she helps Jack save the life of his girlfriend “Audrey Raines” (Kim Raver) by getting him the schematic for the FBI sub-circuit board. The actress also appeared wearing this outfit in the Season 6 group promotional photo, on the back cover of the DVD box set, and on the cover of one of the internal box set DVD cases for Disks 3 and 4). The garments are in excellent screen worn condition and are accompanied by a letter of authenticity.